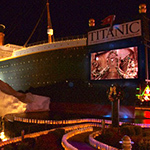 Ring in the New Year right with a visit to Branson! 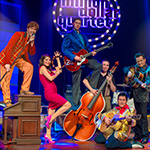 Right now, you can save more than $65 on a three-day, two-night package at the wonderful Welk Resort, get two tickets for the delightfully dynamic Million Dollar Quartet New Year's Eve celebration, and guess what? That's not all! 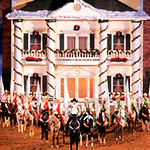 You'll also receive a Branson Guest Card Savings Book that's filled with even more Branson deals. Decide to extend to 4 days and you get an option for two adult tickets to Acrobats of China, Legends in Concert, Pierce Arrow or Hamners' Unbelievable Variety with a total savings of over $140! 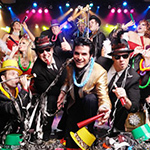 Celebrate the New Year with a bang...only in Branson! View package here. 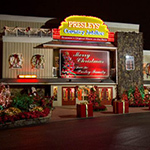 Your ultimate year end - New Year's Eve Branson show schedule! "It seems almost impossible that we are nearing the end of our 2016 Branson show season," said Preston Garrison, Director of Operations for the Branson Tourism Center. 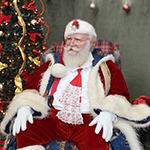 "Although some of our most popular shows will be ending their season in the coming weeks, it is a gradual thing taking place between Nov. 26 and the end of the year" he added... Read entire article here. Two of the most amazing ornaments on the Ozark Mountain Christmas tree!